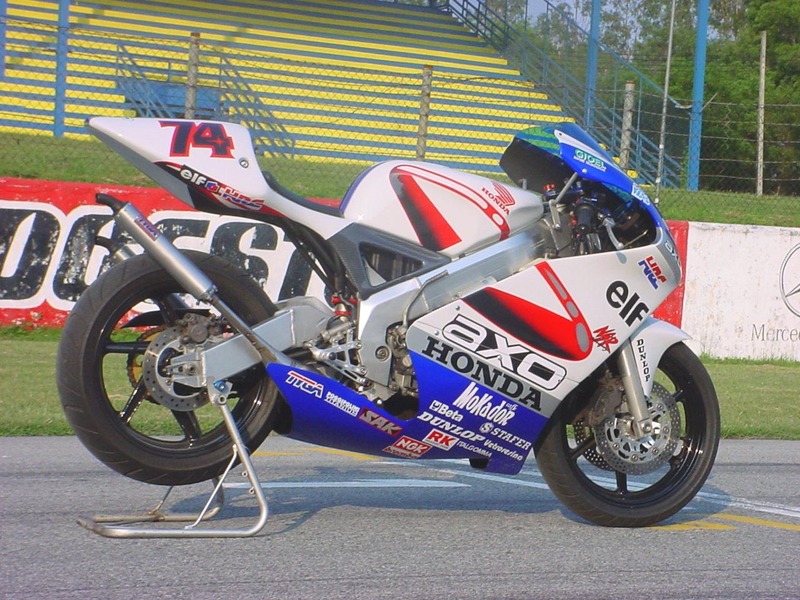 This page is dedicated to one of our NSR long term test bikes. 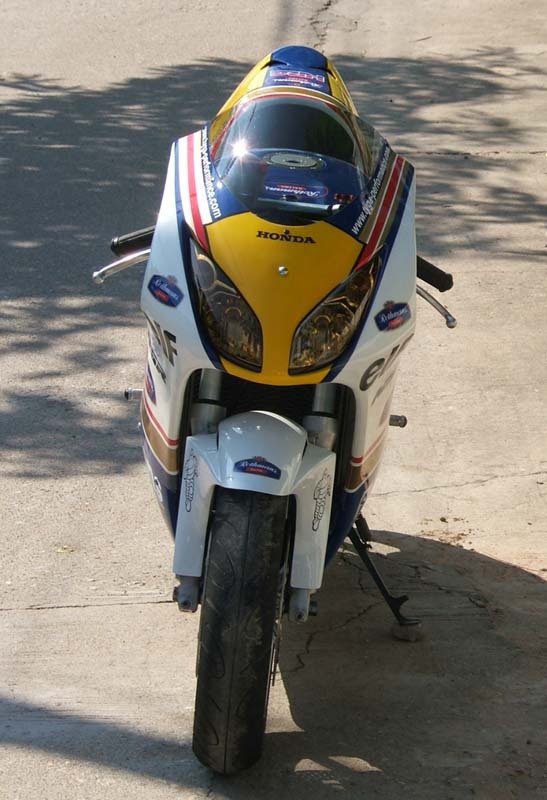 This MC21 used to be in Axo colours and can be found on our website projects. Now it has been reincarnated again! 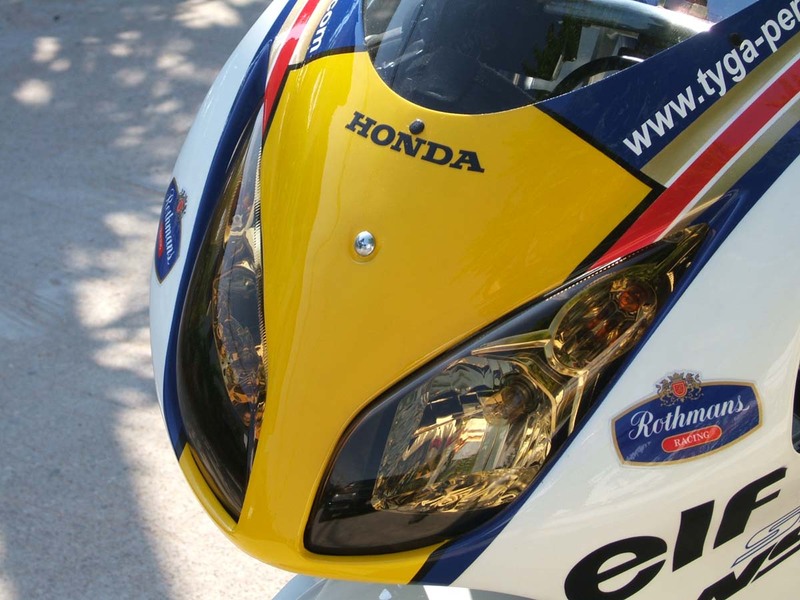 The idea behind this revamp was to try something a bit retro but using our latest RSW style cowling and make it very much a street orientated machine with passenger carrying capacity, decent headlights (and maybe even mirrors fitted one day). 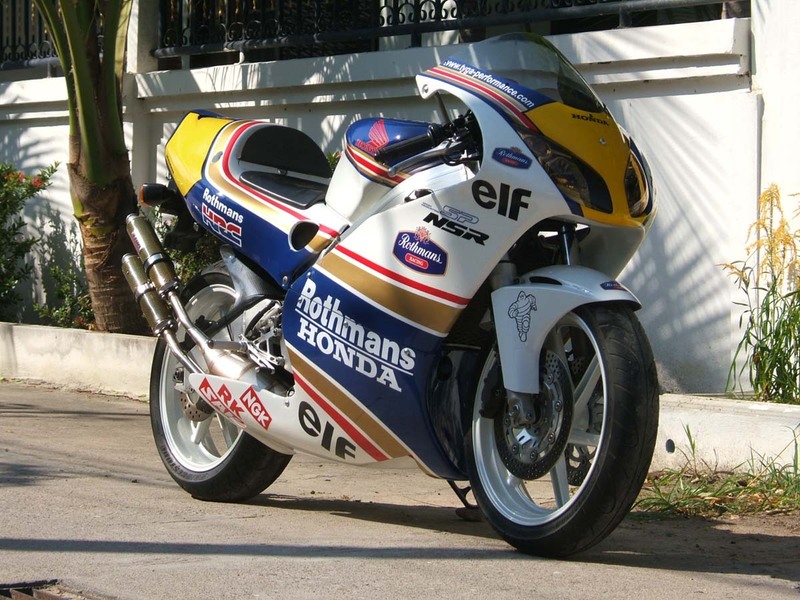 So what is there to say about this bike? 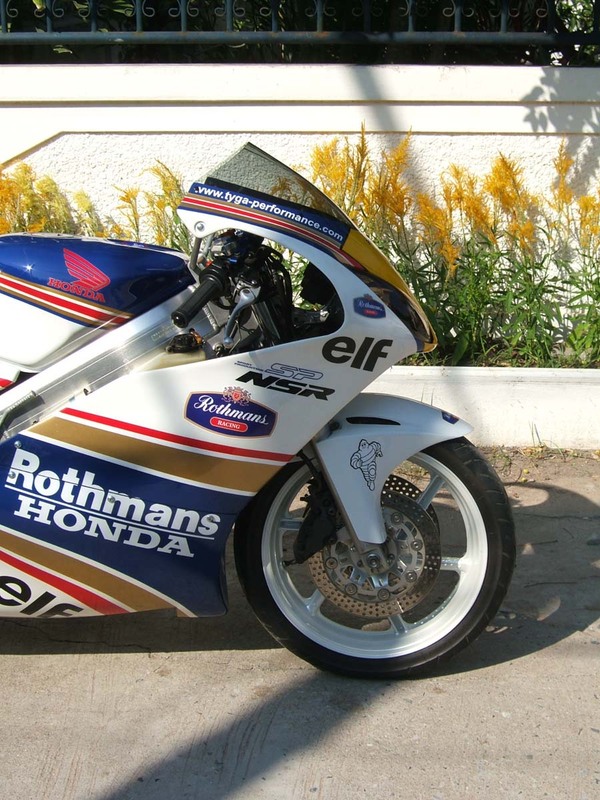 Well, underneath, it is just the same as it ever was when it was in Axo bodywork putting out around 62 horspower with the Tyga MC21 Power Up kit fitted. What is new is the cosmetic makeover. 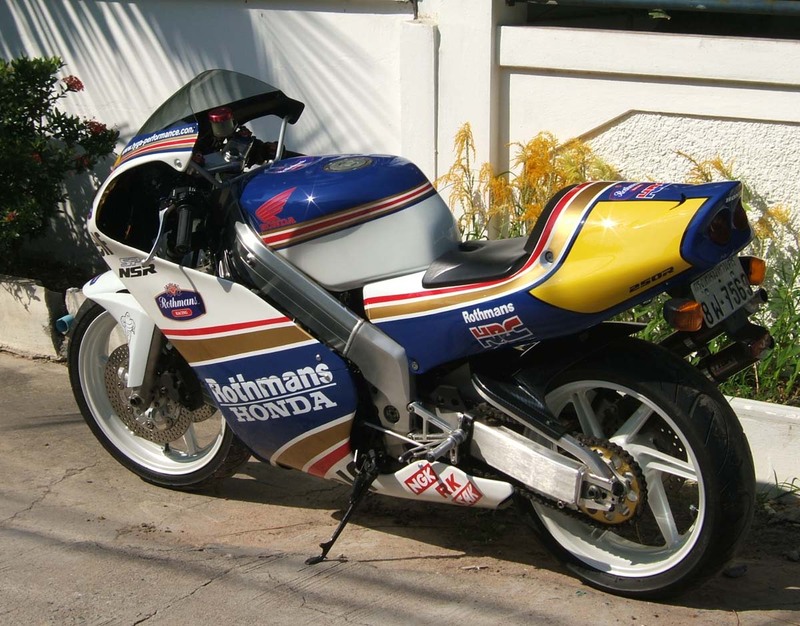 The fairing is the RSW type with an RSW front fender included to compliment the lines. The tail section is a stock MC28 seat cowling except this one is welded up so that there are no seams between the panels. 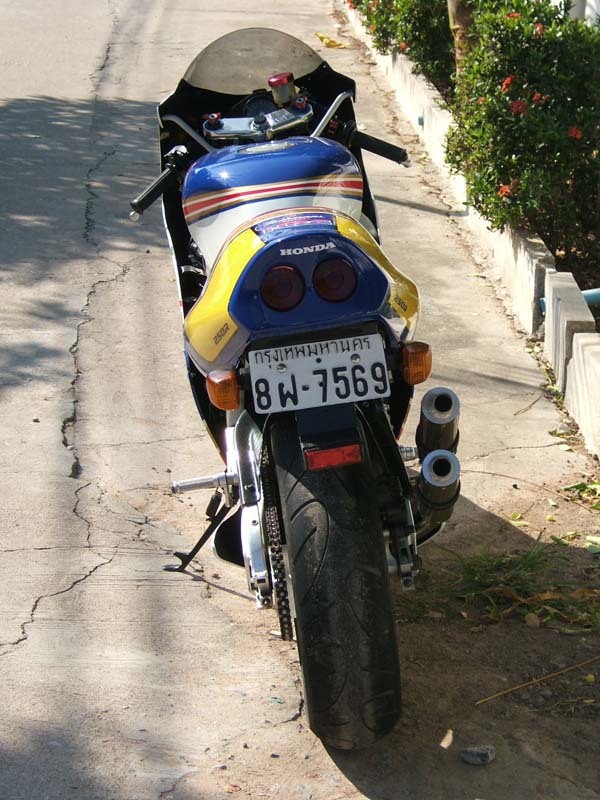 Being a street bike it retains the luggage compartment and this means it is strong enough to take a passenger. 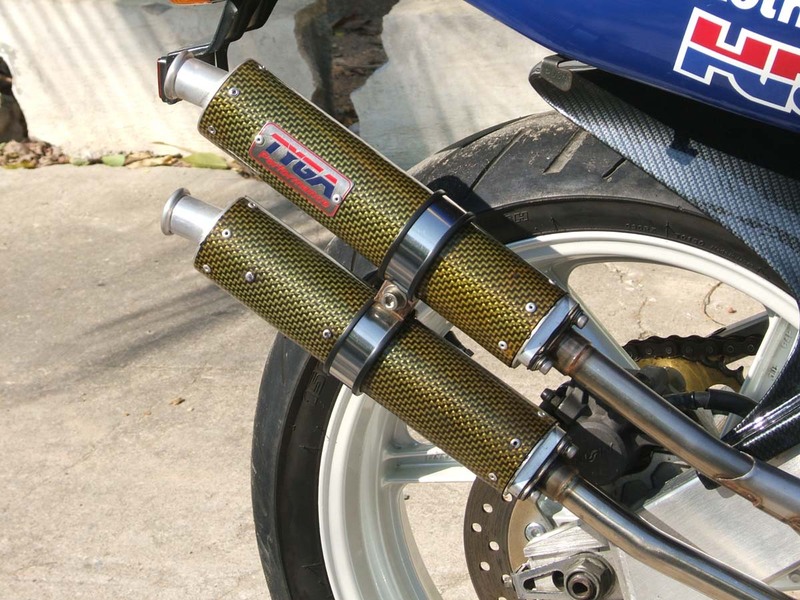 The stock MC21 fold down passenger footpegs are kept and can be tucked out the way so as not to spoil the lines. There is no passenger seat pad because this would look ugly too so this particular perch while good around town is not made for touring! To accomodate the seat cowling, we fitted an MC28 fuel tank because the seat cowling fits flush against it unlike if we used the original MC21 tank. 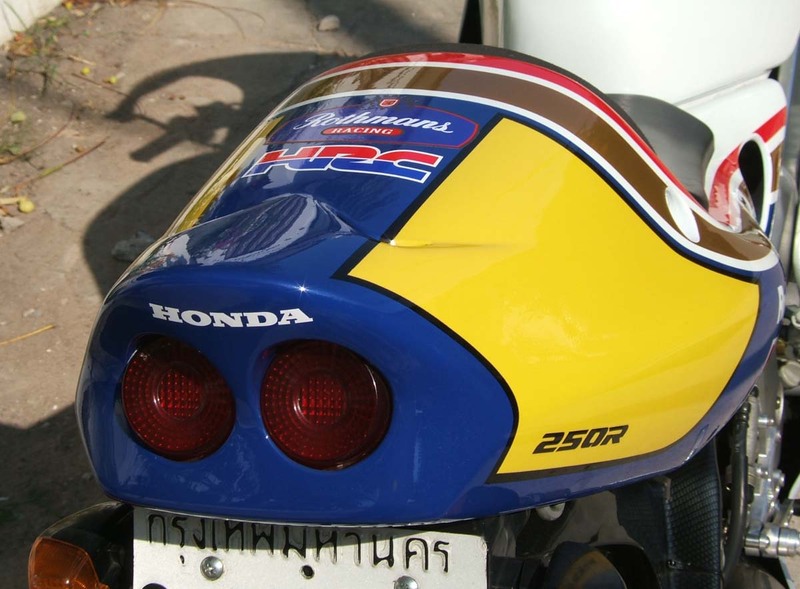 Despite having a RSW250 styled fairing, the concept is more GP500 orientated with the MC28 seat cowling and the GP style pipes. 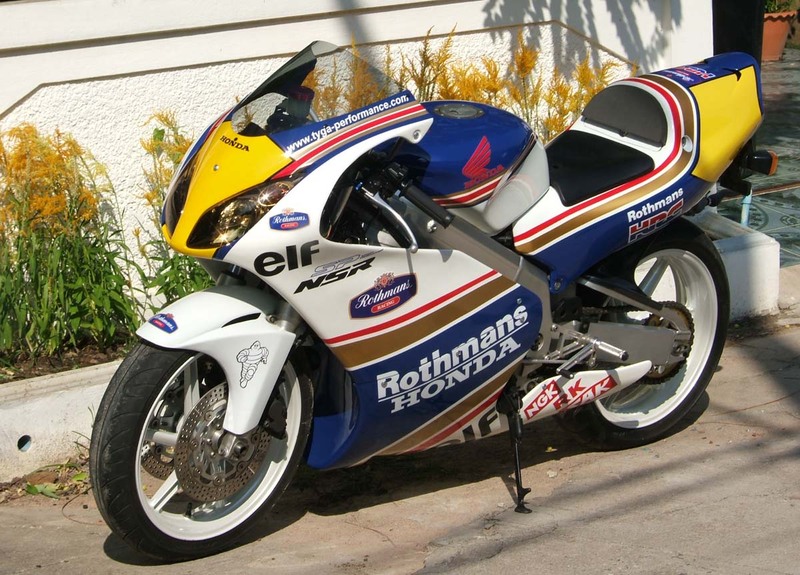 The Rothman paint scheme is a favourite and it works on the RSW fairing but only once it had plenty of sub sponsors to fill up the spaces! 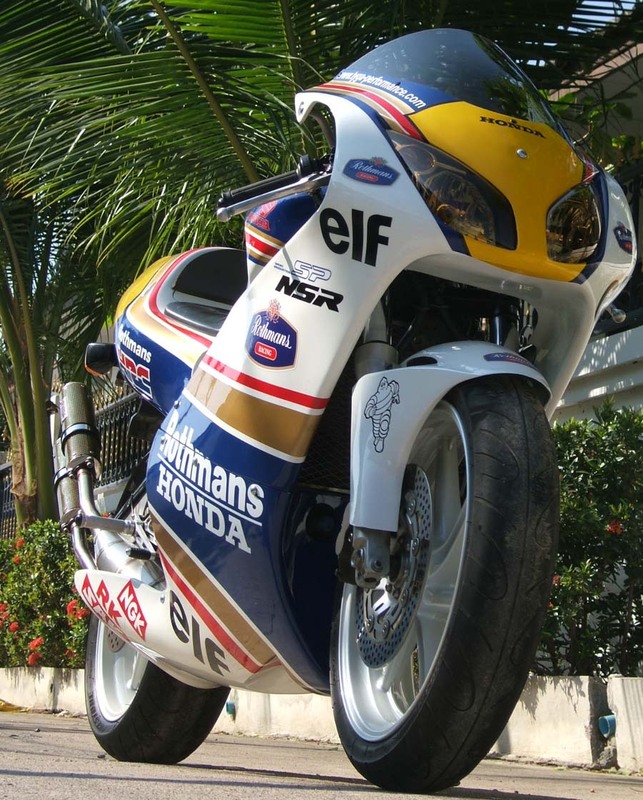 The bike has a number of other Tyga products on it as well as the obvious fairing. There is a full GP Style race stainless exhaust system with carbon/Kevlar silencers, a step kit and a carbon look rear hugger. 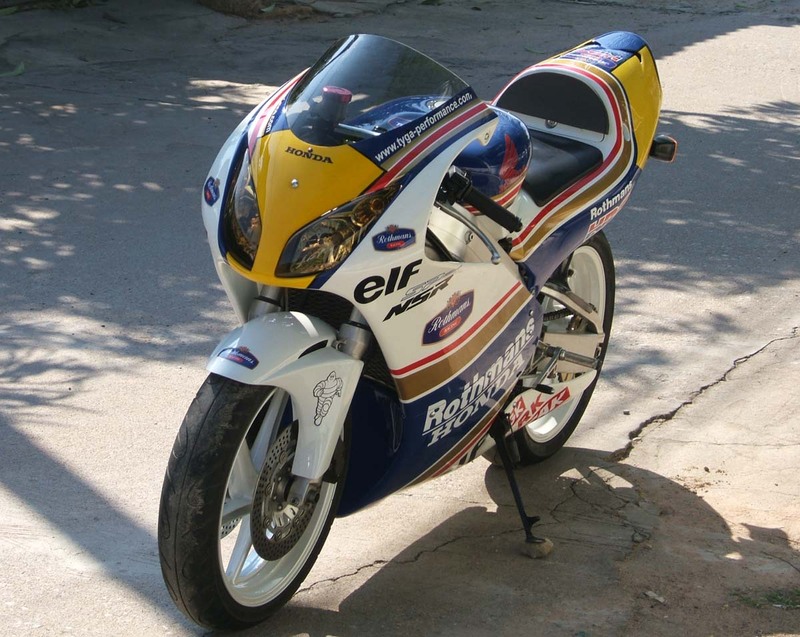 However, we didn't go too far on modifications or fancy parts because this bike is intended as a town runabout and needs to be docile, user friendly and practical. It might be in Micky D's colours but it is as easy going as you could hope for, managing slow town riding and is a breeze to flick through traffic. 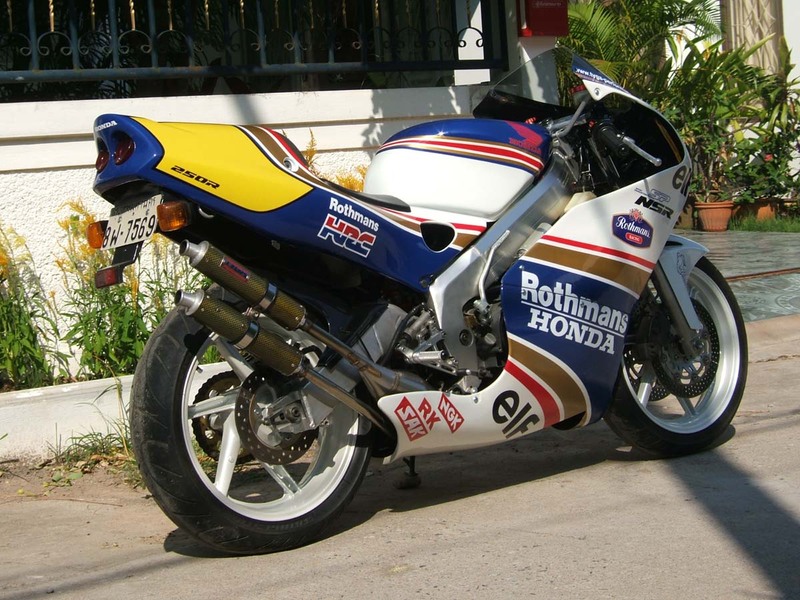 First stock, then Axo, GP250, now Rothman's RSW, I wonder what we will do with this particular bike next? One thing is for sure, I won't be selling it.